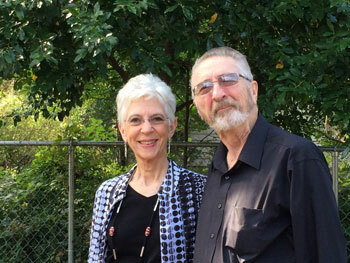 Dr. Charles "Sid" Aaron (Science, '72) and his wife, Judy K. Mayo, treasure Dr. William "Bill" Lee, professor emeritus of the LSU Department of Biological Sciences and a frontrunner in systems biology, as a gracious benefactor of their successes. Their gift, the William R. Lee Professorship in Genetics, will support an LSU professor who shares Lee's passion for genetics. "Bill molded Sid's development into a productive scientific life, and they became good friends at the same time. Bill and [his wife] Catherine practically adopted Sid, and all of their graduate students," Mayo shared. Lee's work centered on genetic mutations caused by environmental exposures within fruit flies. He and his team used state-of-the-art technology to study how changes in DNA were displayed, repaired and inherited, ultimately contributing to the first fruit fly genome map. He offered his students knowledge, resources and connections, and welcomed them into his home. "Bill is one of the kindest, most cordial and gentleman scientists that I've ever met. I admire and still try to emulate that. He was always—even when he was being critical—constructive and positive," said Boyd Professor and Dr. Mary Lou Applewhite Distinguished Professor Dr. Mark Batzer (Science, '88), a former student of Lee's. Lee encouraged Aaron to make contributions in genetic and mutational research, even helping to secure him a position with the prestigious mutation geneticist Dr. F. Sobels at the University of Leiden in the Netherlands. Aaron later served as director of investigative toxicology at Pharmacia & UpJohn, for which Mayo led a genetic toxicology laboratory. A multi-published scientist, Aaron has also served in leadership roles of several scientific organizations. Aaron said, "We have enjoyed incredible careers. We participated in scientific meetings all over the world—we once went around the world! I've gone to all corners of the country to present papers in scientific settings. It's been quite a ride." Aaron's and Mayo's financial consultant recommended leveraging an IRA charitable rollover, which counts toward the minimum required distribution and is not subject to federal taxes, to create the professorship. "It was always Sid's dream to leave funds to LSU in our estate planning," Mayo said. " Honoring Dr. Lee through an endowed professorship in genetics was a perfect way to do this." To learn more about ways you can include LSU in your estate plans, contact Julie Bolton Falgout, PhD, at jfalgout@lsufoundation.org or 225-578-5846. Originally published by the LSU Foundation in Cornerstone Winter 2017 and Spring 2018.